Natural disasters can occur at any time, and homeowners need to be prepared for this along with severe weather conditions. The previous winter took its toll on many homes in Pennsylvania, and this is just one example of situations one has no control over, which can do damage to homes in and around Doylestown, Pennsylvania. 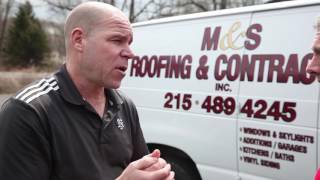 To protect property, owners need to have a Roofing Contractor in Doylestown, PA inspect their roof on a regular basis to ensure it can hold up under extreme weather conditions such as this. Many recommend a roof be inspected once a year, but others are now calling for inspections both in the spring and the fall to see what damage occurred during the winter months and to ensure the roof is ready for another difficult season, if that turns out to be the case. Why is this of such importance? 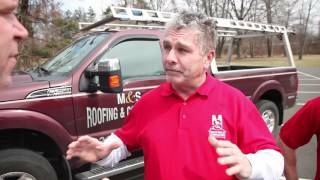 Do you have roof damage? 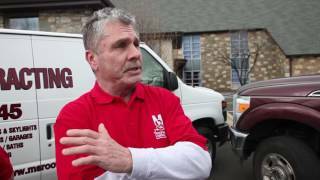 When roof repairs are done in a timely manner, damage to the building is minimized. Minor damage can lead to major repairs if a roofer isn't called in quickly as water can enter the structure, damaging interior ceilings and more. To determine if a roof has been damaged in a storm of any type, one may choose to call in a roofing contractor in Doylestown, or he or she may wish to do an inspection before bringing a roofer in. What should one look for during this inspection? Certain things will be very obvious when one goes to do this inspection. Enter the attic and look for daylight showing through any part of the roof. Be sure to check for water on the floor, water spots, or insulation which is wet. This is a sure sign of roof damage, and the same is true of branches sticking through holes in the roof. If there are no visible signs of roof damage inside the home, head outside to check the exterior portion of the roof structure. Shingles which appear to be bucking or curling need to be replaced, and the same is true if one notices shingles are missing in the valley of the roof or appear to be falling apart in that area as this is where the rain and snow flow on their way to the gutters. Missing shingles or chimney flashing, which is made up of tar or roof cement, are indications a new roof is required, so be on the lookout for these during the roof inspection. These are just a few of the signs a new roof may be needed or that the current one should be repaired. If there is any doubt, it is best to call a roofing contractor in to get a professional opinion. Whether one is in need of a commercial roofing company or one that offers residential roofing services, care must be taken to get a reputable roofer as the roof is the structure's first line of defense when it comes to the elements. Even a small issue can quickly become a major one when the roof is involved, so roof inspections are critical twice a year, if not more often. This is one task which should never be delayed for this reason.